When I heard that Andy Lowenfeld had passed away, the first thing that came to mind was not his stature as a giant of international law, but the impish twinkle in his eye. Yes, his rank as a scholar and an advocate was second to none. In an era when so many lawyers became hyperfocused on one or two specific areas, Andy not only had incredible depth and precision, but he also brought the panoramic view and sweeping vision of an earlier generation of international lawyers. He taught us how public and private international law interact in an interconnected system, and, by his example, he showed us how diverse aspects of the international legal profession could be integrated into a coherent career. 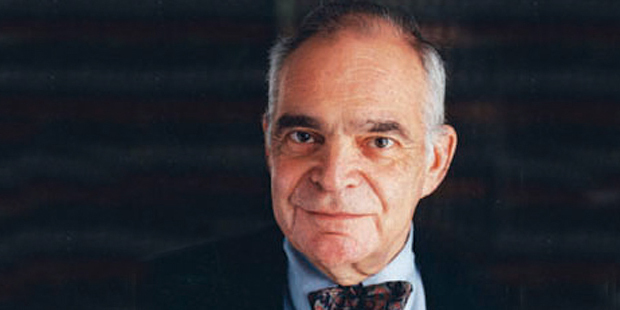 His work set the stage for the current focus on complex regulation, transnational law, and dispute resolution. When I was at NYU, the general course in international law was team-taught by Andy and Theodor Meron. Learning international law from “Ted and Andy,” as we affectionately referred to them (behind their backs, that is), was everything you would expect: a lively dialogue interweaving law, history, politics, and economics. In what was perhaps his signature course, his International Litigation and Arbitration seminar, Andy paired each JD student with a foreign LLM to brief and argue an issue in a case. It was a wonderful bit of experiential learning that has stayed with me and taught me as much about how to be a good teacher as how to be a good litigator. In the years since I graduated from law school, Andy remained generous with his time and provided wise counsel. I became a professor, but he never stopped being my teacher. Perhaps my favorite memory of Andy is from a judicial conference in San Antonio. One hot summer afternoon, we toured the Alamo together. I will always remember his enthusiasm in examining the exhibits, especially anything having to do with the deeds, land grants, and international agreements concerning the disposition of territory. He interspersed our conversation about the history of the US-Mexico border with reminiscences from the State Department, career advice, some thoughts on scholarly projects I was considering, and anecdotes from his incredible career. At one point there was a boy, about seven years old, standing near us and holding a large faux-parchment facsimile of a document, probably recently acquired from the gift shop. Andy started questioning the boy about the topic of the text on his souvenir, whether the reproduction was accurate, and so on. (The boy stared, then shrugged; Andy walked on.) Watching Andreas Lowenfeld attempt a Socratic dialogue with a first-grader made me smile. Even while walking around the Alamo, Andy was first and foremost an educator and a mentor. It is evident that this book has made more use of narrative and illustration, and less of flat normative statements than might have been expected from a treatise. This approach reflects my belief that the answers cannot be understood without the question, and that abstract statements cannot be comprehended without awareness of the underlying facts and continuing controversies. This is not to deny the normative character of international economic law. But international economic law—like all law but perhaps more so—is a process. Any attempt to define the law as of a given moment cannot help but distort. The process continues, and the hope is that this book has illuminated the path. It has. And so has Andreas Lowenfeld’s life. 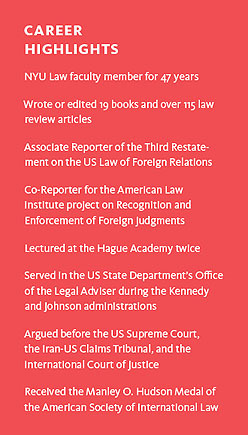 —Professor Christopher Borgen ’95 is co-director of the Center for International and Comparative Law at St. John’s University School of Law. A version of this essay appeared on the blog Opinio Juris.